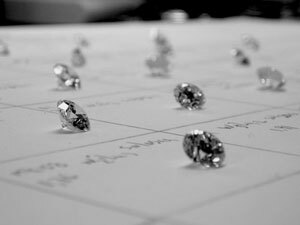 Every year, Shannon's Diamonds & Fine Jewelry travels nearly 10,000 miles to hand select diamonds in Antwerp for our customers back in Bristol. With our connections overseas, we are able to cut out the middleman, and save money in the process. With this elite service, we extend these savings to our customers, and are able to get the best selection of diamonds in the world. Antwerp, Belgium is where 60-80% of the world's diamonds are cut and traded, and is known as the "Diamond Capital of the World." We proudly comply to the Kimberley Process, which prevents conflict diamonds from entering the diamond trade, and by doing so, we are able to import conflict-free diamonds into the United States.